FOR decades on end, the fascist left has continuously rampaged, and with no let- up in sight. As it happens, ever since the election of President Trump, their poisonous roots and claws have reached a feverish point. A crescendo. AND, as always, wherever their destructive swathe lands, Islamists are not far behind. In collaboration. Lurking. Still, if one example (out of countless) is most glaring (via their symbiotic relationship ala the mostly misunderstood red-green alliance), look no further than to Linda Sarsour; a Muslim Brotherhood operative, a Muslima, who happens to be the “darling” of the radical left! Phew, this proponent of Sharia Law cloaks herself under feminist garb, even though she approves female genital mutilation, aka FGM! Mind you, at the same time, taqiyya-like, she recognizes that FGM is viewed with horror in the non-Muslim community, therefore, she claims it is not sanctioned by Islam and that is that. Ipso facto, she is against it! You got that? Dissimulation at its base. NOW that that is settled, the very same fascists (leftists and Islamists….joined at the hip revolutionaries) scored another major “victory” for their anti-freedom agenda. Concomitantly, they struck a deadly blow to free speech, that which is liberty’s cornerstone. STILL yet, before proceeding onto the following putsch, make sure to ignore the jibber-jabber and sop given to the Jewish community, as to the so-called protection Minnesotastan’s “hotline for hate speech” will extend to them. A mere smokescreen. Nonsense. Hogwash too. 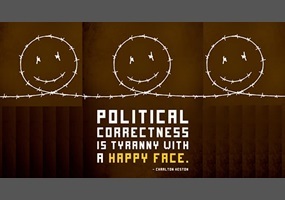 EGREGIOUSLY, in PC obsessed America (the west at large) reality is flipped upside down. Whereas the Jewish community – a continuously besieged minority – has the highest spike in hate crime acts overall, paradoxically, they are the direct result of increased incitement by Islamists and their leftist cohorts! Imagine that. Talk about knock-on effects. Effectively, the arsonists are now claiming to be the firefighters! And, in case the reader is wondering, it is not the “alt-right” which is causing the dangerous uptick. Duh. The city of Minneapolis has set up a hotline for residents to report suspected hate crimes, including “speech and actions,” according to statements on the city’s website. The city, which will operate the “service” through its 3-1-1 helpline, is targeting any “harassing behaviors motivated by prejudice,” according to a press release. Those wishing to report a hate crime from outside the city may dial 612-673-3000. A city official further indicated the impetus for the hate-crimes hotline was the election of President Trump and that the targets would be his supporters. Continue reading about this VERY dangerous Islamist-leftist thrust into America here. 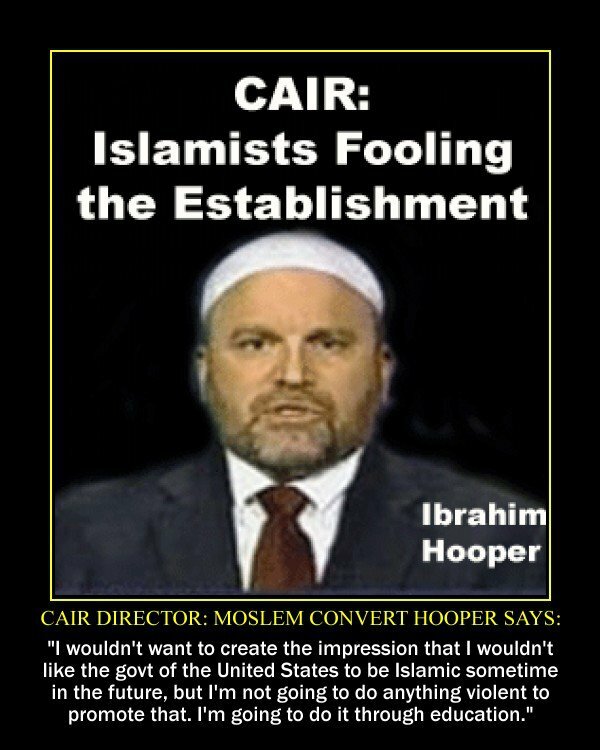 IN this regard, do bear this tidbit in mind: it has been passed onto these hands that a deliberate decision has been made by (some of) CAIR’s mouthpieces to keep their heads down in this direction. One may rightfully inquire: how is this known, and why would it be the case? Hmm. MOVING right along to what is a matter of open record: Dave Gaubatz, the premiere counter-terror and counter-intelligence professional who outed CAIR – via his explosive investigative book, “Muslim Mafia: Inside The Secret Underworld That’s Conspiring To Islamize America” – wrote the FOREWORD for BANNED. Curious and curiouser. (WASHINGTON, DC, 6/23/2017) — The Council on American-Islamic Relations (CAIR) today launched a new civil rights app, called “Making Democracy Work for Everyone,” which gives users the ability to immediately report bias incidents they experience — an important feature during a period of increased hate incidents targeting American Muslims and other minority groups. The free CAIR app offers advice about an individual’s constitutional rights when contacted by law enforcement or the U.S. Department of Homeland Security (DHS), and when facing discrimination in the workplace or at school. It also offers contact information for CAIR’s national headquarters in Washington, D.C., and for chapters nationwide. Other features include a donation function, a feed of news articles and alerts of relevance to the American Muslim community and polls on social and political issues of the day. “We urge all American Muslims and their supporters to download CAIR’s app and to take advantage of its much-needed features, particularly the function allowing reporting of bias incidents,” said CAIR National Executive Director Nihad Awad. He said CAIR has noted an unprecedented spike in hate incidents targeting Muslims and other minority groups since the November 8 election. WELL, let’s face facts: is it shocking to find out that their so-called stats are big, fat propaganda lies too? Back to the business at hand. 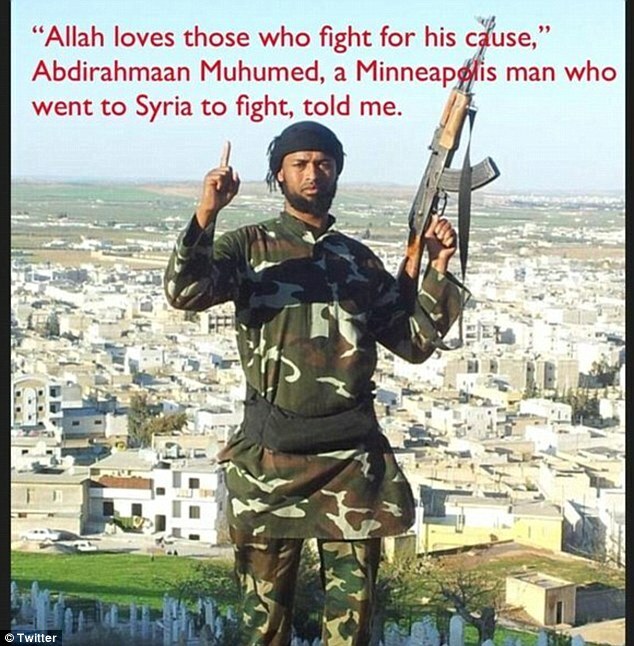 Patriots, do you know that jihadis are hiding in plain sight, so much so that Somalis (and like-minded Islamists, many of whom are burrowed within Minnesotastan’s Muslim communities) are now atop the FBI’s Most Wanted (Terror) List?? Indeed, take a peek. But prepare yourselves to be afraid – VERY afraid. Afterwards, formulate plans to fight back! In light of the above horror show, is it any wonder that Minnesotastan has told non-Muslims (in July 2016) to go to hell, as Bloomington’s City Council bowed down to Islam? Yup, they did. So, if anything, this jacked-up jihadi state (among a growing list of others, all across the heretofore leading nation of the free world) must be viewed as a foreshadowing, if Islam’s barbarians aren’t stopped – forthwith! CONCLUSIVELY, as per the end-game due to all of the above (and so much more), have no doubt that an actual civil war is in a “stepped up” stage. Incontestably, the battle-lines have been drawn. CONSEQUENTIALLY, on one side of the upcoming civil war stand conservative free-thinkers – those who uphold personal liberty as sine quâ non. Inviolate. Arrayed in opposition are others who seek totalitarian control through a hydra-like mix of socialism, Marxism, and communism. Indubitably, aligned with the aforementioned totalitarian forces are Islamists whose ideology, yes, is cloaked under a religious veneer which is more political than anything else. This is hardly an insignificant factor. WHICH brings us full circle to the shutting down of free speech in Minnesotastan – the merging of fascist-leftists and Islamists. 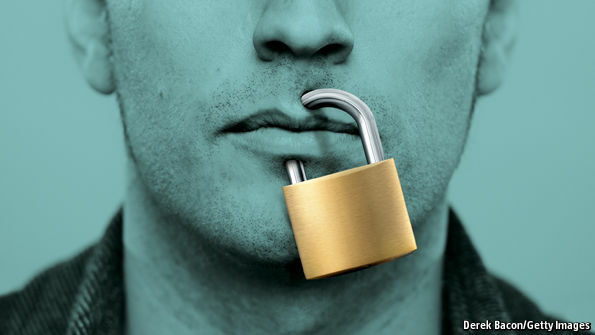 To wit, is there even a scintilla of a doubt that whither free speech goes, so too does every other freedom? If so, it is not the question of whether or not a civil war is in the offing, but how bloody it will become, that is, once one side prevails over the other, and all is said and done. INESTIMABLY, in lockstep with the DNC’s foot soldiers, know that Islam’s fifth columnists will be part and parcel of “Resistance Summer”, one which the “deep state” will ensure is full of blood, even as they opine otherwise. TELLINGLY, it is within the “deep state” that many factions plot, some independently and others interdependently. But, one way or another, they are aligned with HUSSEIN’s fascist-left comrades via OFA, Organizing For America; an alliance of community organizing groups designed for frontal agitation and complete mayhem. MOST significantly, openly positioned to assist the very same radical revolutionary agenda is Minnesotastan’s Muslim Rep. Keith Ellison; a mobbed up Muslim Brotherhood Mafia water carrier! Fifth columnist. Double dare anyone to counter otherwise. INHERENTLY, in light of this truthful non-PC disinfectant, is it a coincidence that Minneapolis – a city which is overrun by Somali terrorists and other Islamists – just happens to be Ellison’s Congressional turf, and the first U.S. city to install a Sharia hotline for “hate speech” snitches?? This entry was posted in Uncategorized and tagged "free speech", CAIR, faked hate, Minneapolis's hotline to report suspected "hate crimes" & “speech and actions”, MINNESOTASTAN, Muslim Mafia, Muslim Rep. Keith Ellison by Adina Kutnicki. Bookmark the permalink. Okey dokey….never would wear yellow-rimmed shades, but no matter!